Syeda Zainab(as), the daughter of Imam Ali(as) and Syeda Fatima(as), was an exemplary woman of great ability, intelligence, knowledge , insight, courage and perseverance. She was born in the Prophet’s(sawaw) family – the most outstanding figure in human history. The Prophet’s wife Syeda Khadija was her maternal grandmother, and her paternal grandmother was Fatima daughter of Assad, who nursed the Prophet(sawaw). Hazrat Zainab(as) was a brilliant star that received rays of holiness from the five suns (Panjetan Pak as). 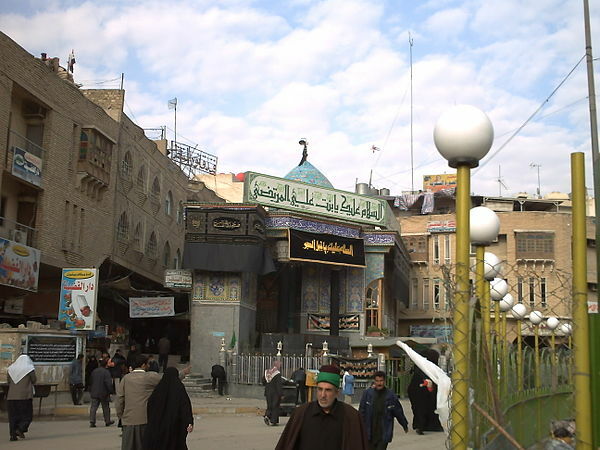 It was through her holy origins and pious edification that she manifested so great a fortitude in Karbala (Iraq). The life of the daughter of Hazrat Zahra(as) was always laden with hardships, but she never feared coping with difficulties and this enhanced her endurance and elevated her soul. Hadrat Zainab (A.S.) proclaimed to the world the greatest sacrifices made by Imam Husayn (A.S.) and other members of the family of the Holy Prophet of Islam (S.A.W.) who were brutally martyred at Karbala in 61 A.H by the Yazidi forces.This is the story of the victory of truth. It is the story of a unique woman whose own fate was inextricably bound with the historical events of Karbala that have impressed upon mankind the true reality of living Islam. She was born on the 5th of Jamadil Awwal (5th Islamic month) in the 5th Hijra, giving her a unique birth date of 5.5.5. When Hazrat Zainab(as) was born, Imam Ali(as) asked for the Prophet’s advice as to her name, the same as it was in the case of Hassan and Hussain. They gave Zainab in swaddling clothes to the Prophet (sawaw) and he waited for Allah’s message. Gabriel appeared and said she should be named Zainab. The Prophet (sawaw) kissed her. In her childhood, Zainab studied with the Prophet (sawaw), and when Imam Ali(as) moved to Kufa, the respected women of Kufa requested Imam Ali(as) through their husbands to allow them to benefit from the knowledge of Hazrat Zainab(as). Imam Ali(as) complied with their request and the interested women learned from her the expounding wisdom of the Holy Qur’an. After the demise of the Holy Prophet (sawaw), there came the period of distress and hardship in the life of Hazrat Zainab(as) She stood by her mother as far as the question of supreme mandate of her father was concerned. When her mother delivered the Fadak sermon, she was only 4 years old, but narrated the sermon so lucidly and expressively that the people from Bani Hashim remembered it by heart. Later the Shiite scholars recorded it, that is why she is called Zainab the narrator of traditions. After the martyrdom of Hazrat Zahra(as), Zainab suffered many calamities. Their house was attacked and the usurpation of her father’s rightful caliphate was a great shock to her. Her sublime devotion to the cause of Allah and Islam endeared her to her father Ali,which reminded of her mother’s endearment to her father, the Holy Prophet (sawaw). All this was worthy of the grand status of Zainab(as). After her marriage her husband is reported as having said, “Zaynab is the best housewife. When the tragedy of Karbala befell her in her mid-fifties she was forced to go out uncovered. It was then that some people remarked that she appeared as a ‘shining sun’ and a ‘piece of the moon’. In her character she reflected the best attributes of those who raised her. In sobriety and serenity she was likened to Umm ul-Mu’minin Khadija, her grandmother (A.S.); in chastity and modesty to her mother Fatima Zahra (A.S.); in eloquence to her father Ali (A.S.); in forbearance and patience to her brother Imam Hasan (A.S.); and in bravery and tranquility of the heart to Imam Husayn (A.S.). Her face reflected her father’s awe and her grandfather’s reverence. Abdullah son of Ja’far Tayyar, a nephew of Imam Ali(as) asked for Zainab’s hand, and Imam Ali(as) accepted it. Her marriage settlement was equal to that of her mother’s. Imam Ali(as) told Ja’far not to prevent Zainab from going on a journey with Imam Hussain(as), her brother. Although Zainab’s husband was a man of means, she lived a modest life, not a life of luxury. She and her husband were charitable to the needy people. The Arab tribes called Abdullah “the sea or the cloud of munificence”. Abdullah was also noted for his standing with Imam Ali(as) in the holy wars (jihad). Ibn Hajar quoted the Prophet(sawaw) as having said that Abdullah was like him in character and had taken him by the right hand and prayed to Allah to extend His mercy over the household of Abdullah bin Ja’far. The marriage of Zainab(as) did not diminish her strong attachment to her family. Imam Ali(as) also felt a great affection for his daughter and nephew and when he became the Caliph of the Muslims and moved from Medina to Kufa, Zainab and Abdullah joined him. 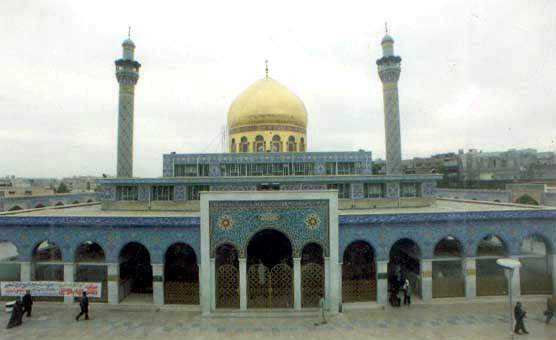 Zainab bore four boys by the names of Ali, Muhammad, Aun and Abbas and a girl, Umm Kulthum. Abdullah had been brought up under the direct care of the Prophet [s.a.w.]. After his death, Imam Ali (A.S.) became his supporter and guardian until he came of age. He grew up to be a handsome youth with pleasing manners and was known for his sincere hospitality to guests and selfless generosity to the poor and needy. In Medina it was Zaynab’s practise to hold regular meetings for women in which she shared her knowledge and taught them the precepts of the Deen of Islam as laid out in the Holy Qur’an. Her gatherings were well and regularly attended. She was able to impart the teachings with such clarity and eloquence that she became known as Fasihah (skillfully fluent) and Balighah (intensely eloquent). In the thirty-seventh year A.H. (after Hijrah), Imam Ali (A.S.) moved to Kufa to finally take up his rightful position as khalifah. He was accompanied by his daughter Zaynab (A.S.) and her husband. Her reputation as an inspiring teacher among the women had preceded her. There too women would throng to her daily sittings where they all benefited from her erudition, wisdom and scholarship in the exegesis of the Qur’an. The depth and certainty of her knowledge earned her the name given to her by her nephew, Imam Ali Zayn ul-Abidin (A.S.), of ‘Alimah Ghayr Mu’allamah, she who has knowledge without being taught. On the night before Friday the 19th of Ramadan in the fortieth year after hijrah, Imam Ali (A.S.) went to the central mosque for prayers. Shortly after the adhan (call to prayer), Zaynab (A.S.) heard a heart-rending cry. Soon the cries came nearer to her house and she realised that they were bringing her the news of her father’s assassination. Ibn Muljim had struck Imam Ali (A.S.) a fatal blow while he was in the defenceless state of sajdah (devotional prostration). Mortally wounded, he was carried back home on the shoulders of his followers. There was to be no recovery from this wound. On the twenty-first night of Ramadan Imam Ali (A.S.) died, leaving his two sons and daughter to witness and face his enemies’ misguided lust for power and revenge. Zaynab (A.S.) was submerged in grief at the brutal loss of her dear father. Together with her husband she returned to Medina. Some ten years later Zaynab (A.S.) was once again stricken with a grievous loss, that of her brother Imam Hasan (A.S.). He too fell victim to the schemes of the power-hungry Bani Umayya. Mu’awiya was intent on converting the caliphate into a hereditary kingship so as to retain the seat of power within his clan. To achieve this it was necessary that he secure allegiance of the people for his son Yazid. This proved to be impossible as long as Imam Hasan (A.S.) was alive. Therefore he successfully eliminated him through an ingenious intrigue in which the hand that dealt Imam Hasan (A.S.) the deadly poison was none other than the Imam’s wife. The rights of leadership now passed into the hands of Imam Husayn (A.S.), but the Bani Umayya would not leave him in peace. Within six years of Husayn’s brother’s death, Mu’awiya started to openly call upon people to swear allegiance to his son Yazid, and people met his desire willingly or unwillingly. Imam Husayn (A.S.) numbered among the five men who alone refused to pledge themselves to Yazid. During the four years left to his life after securing allegiance for his son, Mu’awiya was unable to dissuade Imam Husayn (A.S.) from his firm opposition to such a system of rule. If the caliphate was to be based on heredity, then none other than the Prophet’s grandson and nearest surviving kin was more suitable. And if the right to rule was to be given on the basis of piety and learning, then to whom else other than Husayn (A.S.) – proven to be possessed of untainted wisdom, complete knowledge of Islamic law, piety and devotion of the highest degree – could this position be rightfully apportioned. In her life Zainab always saw the evildoers, oppressors, insurgents and breakers of covenants defy the truth and Imam Ali (a.s.), the supporter of the truth and justice had to quell their revolts. Finally, an evil hand gave Imam Ali (a.s.) a stroke from a poisoned sword on his head in the mosque. After Imam Ali (a.s.), his son Imam Hassan (a.s.) became the Caliph. Imam Hassan (a.s) was also greatly oppressed until at last he signed a peace treaty with the Insurgent ruler Moavia Ibn e Abu Sufian . Imam Hassan (a.s.) was poisoned by his treacherous wife, who under a conspiracy with the sitting Caliph of that time. After Imam Hassan, Imam Hussein (a.s.) became the Imam, but the ruler of Syria violated the peace treaty and appointed his son as his successor and insisted that Imam Hussein (a.s.) should pledge allegiance to him. Imam Hussein refused to pledge allegiance and made up his mind to move to Mecca. In the month of Rajab in the sixtieth year after Hijrah, the Bani Hashim were confronted with the caliphate of Yazid. Yazid did not have the forbearance of his father, and was not content to let Husayn (A.S.) stay in Medina in peace. The day after his father’s death he wrote to Walid ibn ‘Utba ibn Abu Sufyan, then governor of Medina, asking him to pursue Imam Husayn (A.S.), Abdullah ibn Umar, and Abdullah ibn Zubayr, and compel them to swear allegiance to him. Again Imam Husayn (A.S.) refused. He decided to leave Medina, and, at the behest of other oppressed people, to go to Kufa where, he had been led to believe, there were many who wished to combat the tyrannical rule of the transgressing Bani Umayya and see to it that pure enlightened leadership of Muslims prevailed instead. When Zaynab (A.S.) learnt of her brother’s proposed journey to Kufa she begged her husband to give her leave to accompany her brother. Abdullah pointed out that such a journey was fraught with difficulties and hardship. Zaynab (A.S.) insisted, saying, “My mother did not leave me behind to watch from afar as recreation the day when my brother is all alone, surrounded by enemies with no friend or supporter. You know that for fifty-five years my brother and I have never been separated. Now is the time of our old age and the closing period of our lives. If I leave him now, how shall I be able to face my mother, who at the time of her death had willed, ‘Zaynab, after me you are both mother and sister for Husayn (A.S.)’? It is obligatory for me to stay with you, but if I do not go with him at this time, I shall not be able to bear the separation.” Abdullah himself had wanted to accompany the Imam, but since he had been weakened by illness, he gave her permission to go on this destined journey. With her he sent two of their sons. Zaynab (A.S.) had been prepared all her life for what was written for her and her brother. She preferred to face the trials of Karbala than to ever be separated from him. Zainab said farewell to her husband and went with her brother accompanied by her sons Muhammad and Aun. They reached Mecca in 60 Hijra year. Imam Hussein (a.s.) was informed that some agents of the ruler of that time had come to Mecca to assassinate him while circumambulating the Holy Ka’bah. Imam Hussein (a.s.) deemed it advisable to move to Kufa and let people know of his secret mission. They arrived at Karbala on the 2nd Muharram, 61 Hijra. Zainab had heard from her grandfather and father that Karbala would be the place where Imam Hussein (a.s.) would be martyred. Having decided to leave, Imam Husayn (A.S.) ordered that litters be prepared for the ladies of his family. Abu’l-Fadl Abbas, his half-brother (for they shared the same father), helped Zaynab (A.S.) and her sister Umm Kulthum into their litter. They were followed by two young girls, Fatima Kubra and Sakina, daughters of Imam Husayn (A.S.). Imam Husayn’s (A.S.) party reached Karbala on the second of Muharram. But the supporters that had originally invited him to Kufa were no longer his to command. Having got wind of their intentions, Yazid appointed Ibn Ziyad, governor of Kufa, to carry out orders to subvert their plans, and this they had achieved successfully. With the Imam’s following cunningly eliminated, forces were sent to meet him near Karbala. So saying he bade her be patient and not to weep over his death or shed tears or beat her cheeks. He then took her to the tent of his son Ali Zayn ul-Abidin (A.S.) and left her there. But Zaynab (A.S.) was not to be consoled, and from this time came to be known as Baakiyah (one who weeps). On the eve of the tenth day of Muharram, Imam Husayn (A.S.) addressed his followers, the Ansar and the Bani Hashim. It had become clear that this was to be a battle unto death. He therefore released them from any obligation to remain by his side, and let them know that no grudge would be held against them were they to turn away from the coming decisive battle and return to safety. There was now no doubt about the slaughter that was to come. Despite the heavy burden of knowing this insurmountable fact, Zaynab (A.S.) maintained her tranquillity through constant prayer and remembrance of the ultimate cause for which their lives were being sacrificed. On the insistence of Shimr, Umar ibn Sa’d prepared to attack Imam Husayn’s dwindled forces. Tila e Zainab s.a , The Place from where Lady Zainab , Witnessed the Battle of Karbala . Imam Zayn ul-Abidin (A.S.) sat on the carpet of Imam Husayn and then Zaynab (A.S.) told the women of Syria what had befallen them. They shed tears and mourned. They had not known about the events of Karbala and Kufa, but when they went home they told their men folk. It was her destiny to proclaim to the world the sacrifices made by Imam Husayn and the other members of the family of the Holy Prophet [s.a.w.] for the cause of Islam. She exposed the evil deeds of Ibn Ziyad and Yazid with courage and fearlessness. Had it not been for her the sacrifice of Karbala might have faded into oblivion. She endured physical pain and mental torture with fortitude and was a source of strength to all around her. The sorrow and grief she expressed was an outpouring of her intense humanity. Never did she rebel against the destiny decreed by Allah. The strength of her submission was divine, yet her lamentation poignantly human.